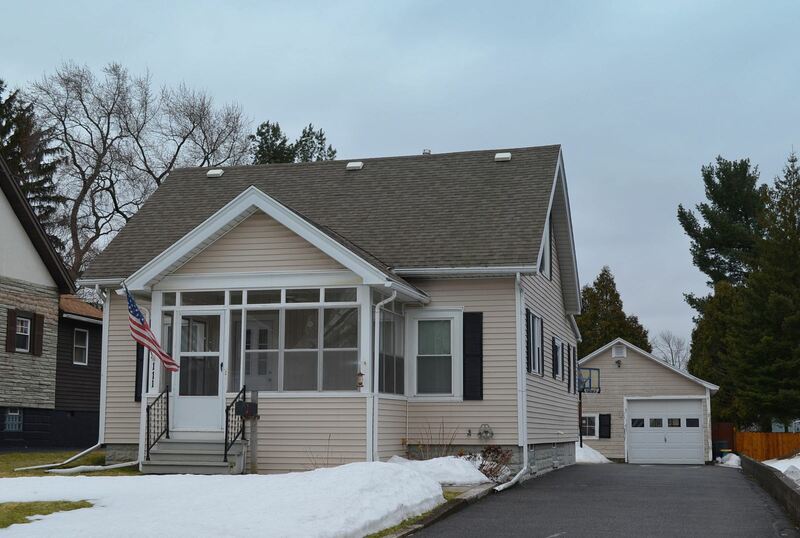 3 Bedroom Cape Cod | Mattydale NY Home | North Syracuse Schools - http://www.CNYAgent.com - Contact Bob McTague at 315-882-6610 – 111 Brookfield Road. Mattydale, NY Neighborhood - This charming 3 bedroom Transitional Cape Cod is located in a popular area which is close to shopping, parks, major highways, and schools. First Floor Features – The first floor features a large front to back living/dining room with access to the deck and the large fully fenced private backyard, a first floor laundry room, a spacious kitchen with an eat in area, an enclosed porch, and a full updated bathroom. Second Floor Features – The second floor offers a master bedroom, another full bedroom, and a third bedroom option or nursery. Exterior - The exterior provides a detached 1 car garage.